Fort Jefferson is the largest brick masonry structure in the Americas. It sits 68 miles west of Key West in an island group known as The Dry Tortugas. "Tortuga" means turtle in Spanish. Ponce deLeon named the islands in 1513 after catching over 100 sea turtles there. Sad to hear about today but turtles were a great source of meat for sailors in those days. The fort is massive and was constructed to protect the shipping lanes in the Gulf of Mexico after the War of 1812. Today, it is part of Dry Tortugas National Park which is one of the most remote parks in the system. I read a magazine article about birding on the Dry Tortugas many years ago and have dreamed about visiting ever since. This was the year. I invited several people but only Lori could make it this year. We planned to camp overnight but those plans were dashed when we learned that reservations needed to be made a year in advance. We opted for the day trip aboard the Yankee Freedom Ferry. The ferry leaves Key West daily at 8 AM. You arrive at Fort Jefferson by 10:30, spend 4 hours on the island birding, learning about the fort and/or snorkeling and arrive back in Key west by 5:30 PM. The ferry provides breakfast and lunch, snorkel gear and cash bar on the ride back all for $175. Not bad. The Tortugas are known stopovers for migrating birds in spring as the birds island hop from South America across the Caribbean to get to North America. 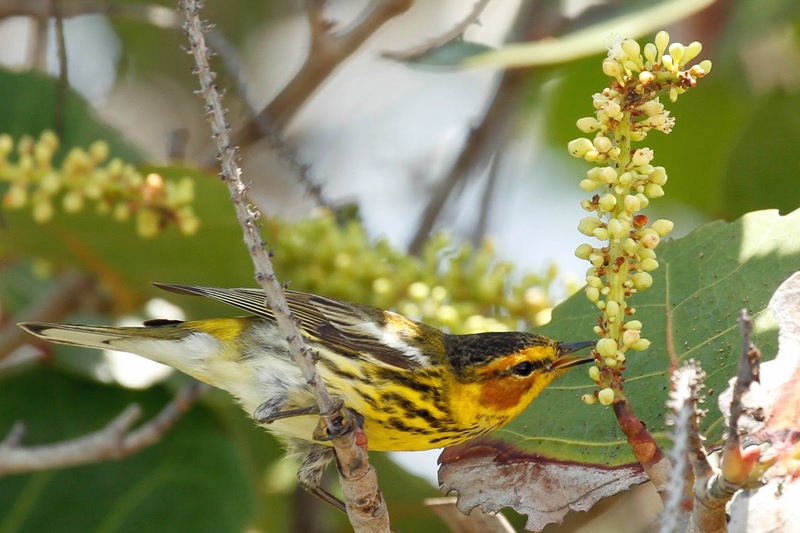 Remember, the birds migrate at night and refuel during the day which is great for birders. 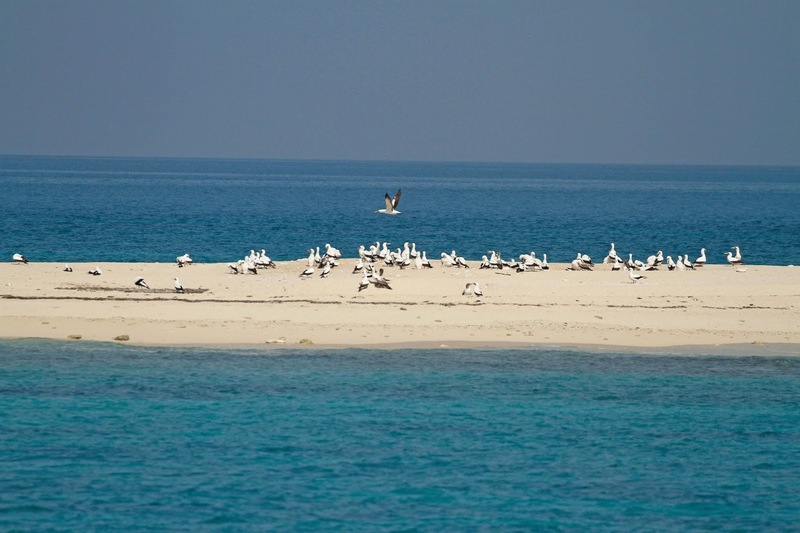 Before we even arrived at the island, we saw hundreds of birds. The captain made sure to swing by "Hospital Key" so that we could see the only Masked Booby colony in the US. Hard to believe that this sand spit once had an actual hospital on it. It was washed away many years ago. 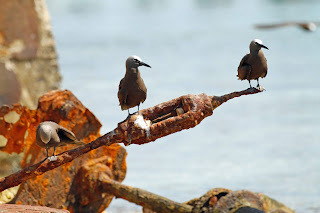 We also had our first look at the Brown Noddies and Sooty Terns that nest by the thousands here. Lori and I were the first passengers off the boat. The fort is surrounded by a moat. Other people already arrived by private boat or seaplane. 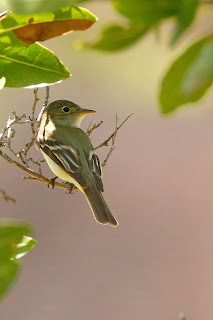 We plopped our gear on a picnic table and headed off to find birds which we did immediately. 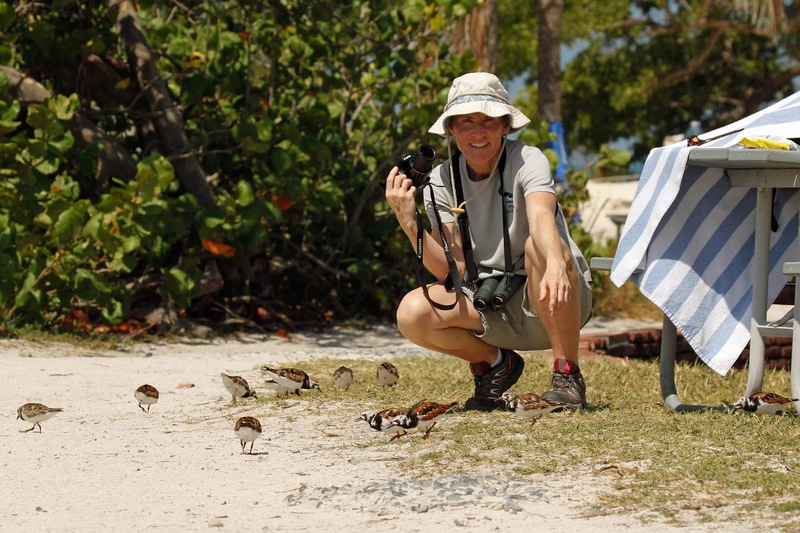 These Ruddy Turnstones literally walked between our feet. 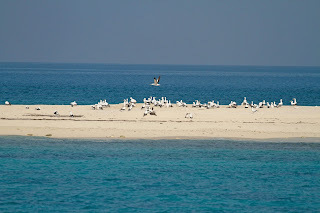 They were so interested in eating that they were not afraid of the hundred or so people on the island. Lori loved it! 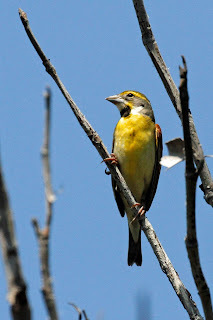 Once we were settled, we tried to optimize our time and headed inside the fort for birds. There are some trees and about 10 acres of open space that attract the birds. 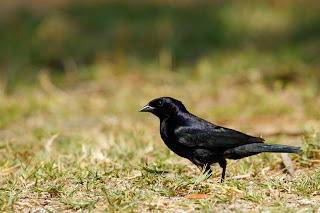 Most of the birds that we saw here will arrive in our area within the next few weeks on their way to breeding territories. Others birds that we find at the Dry Tortugas are specialty birds that we will not see in our area or anywhere else for that matter - including the Boobies, Noddies and Terns mentioned already but also birds like this Antillean Nighthawk which only comes as far north as the Tortugas and Florida Keys. 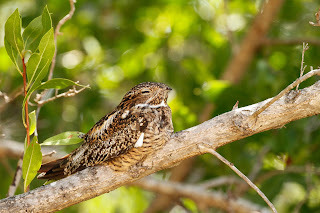 Nighthawks are so confident in their camouflage that they just sit there really close to the path. 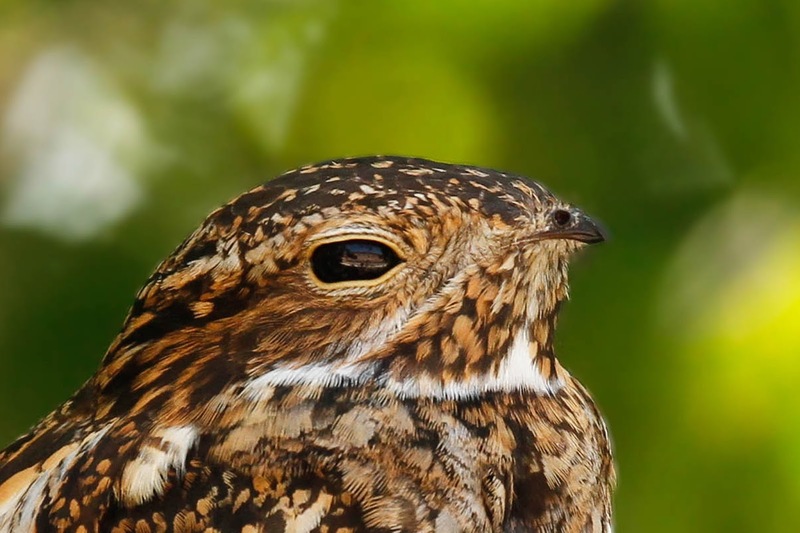 This one opened his eye for a minute which produced this cool shot where you can see the reflection of the fort in his eye (click on the image to make it bigger). Another special bird is Shiny Cowbird. They really are shiny. 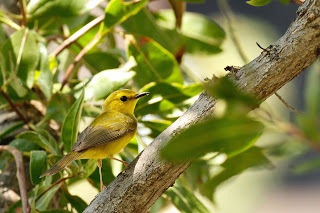 While the main attraction was birding, we did manage to spend some time exploring the fort. 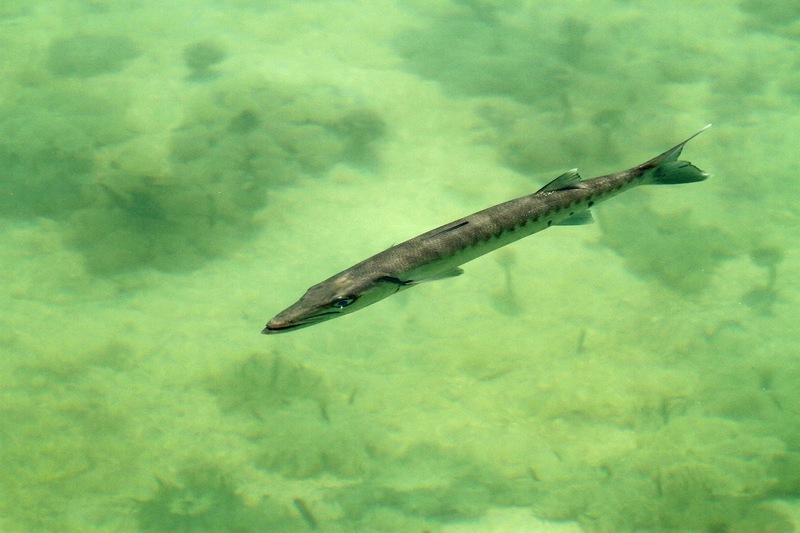 We found this Barracuda hanging out in the moat. Good thing we didn't see one when we went snorkeling. We saw some fish but the visibility wasn't great. The coolest part of the snorkeling was getting super close to the Noddies. 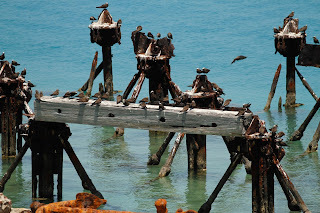 They were perched on any old structure around the island like this ruined dock. 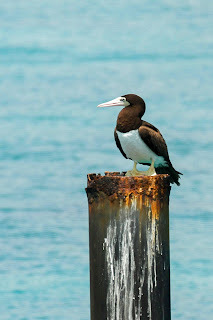 I actually snorkeled around the pilings of the dock. When I picked my head up out of the water and there they were just hanging out, not worried about me at all. Lori made me go up to the top of the fort - 45 feet up spiral staircases with no handrail or lighting. I'm glad that we did it but I got down as fast as possible. Lori stayed up and took some spectacular photos showing the color of the water surrounding the islands. This shot shows the seaplane waiting to take passengers back to Key West. We bid farewell for now but will definitely be back again. 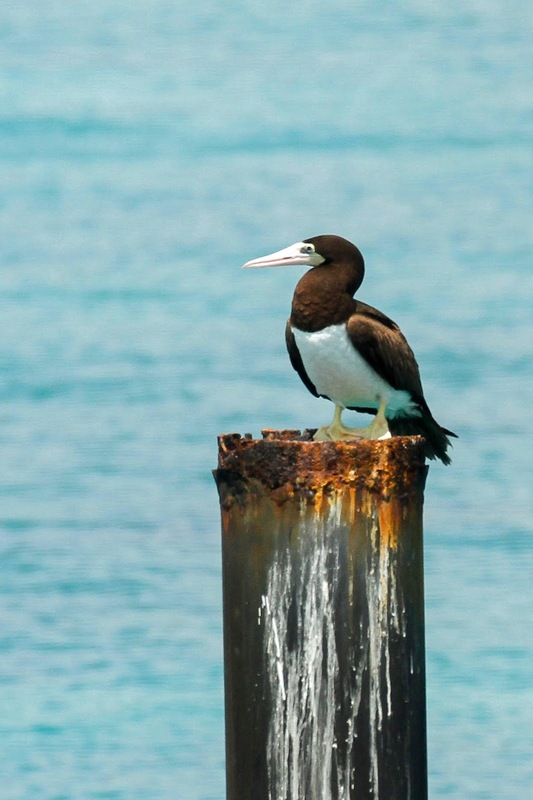 I managed to snap this photo of Brown Booby on the way out of the dock just for a bonus.